"Children of Paranoia" is one of those books that I normally wouldn't have picked up, simply because it is a bit outside of my normal reading genres. After reading this book, I am so glad I did! Trevor Shane weaves a tale that is both extraordinary and believable, keeping the reader turning pages in an effort to find out what happens next. First, I have to say that I have my fingers and toes crossed that Trevor is currently (or has already completed) writing a sequel to this debut novel. Seeing Maria come back as a stronger, more determined character would be great and the ending makes me think that Trevor has a plan for her. The emotion in "Children of Paranoia" is strong, real, and raw. Never would I have guessed that I would ever care for an assassin, but Trevor made me do it. He wrote Joseph in such a way that you simply couldn't help but feel for the guy. Growing up in the world that Trevor created forced Joe into most of the situations he found himself in, which made it easier for me to connect with him. At the same time, he was an assassin! Going along with Joe on his "jobs" was definitely a different experience for me and made the story even more gripping. This novel is written from an interesting angle. First person POV, but written as though Joe is writing in a journal to Maria. 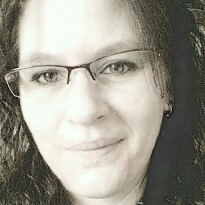 I found this to be a refreshing and fun way to read. Maybe because that's how I would probably write, maybe because it was almost like listening to Joe tell his story, but either way, it was a great break from the normal. 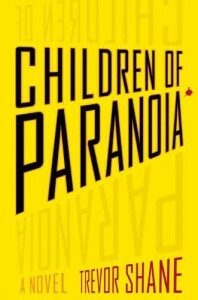 "Children of Paranoia" was one of those books that you don't want to end but you can't wait to find out what happens next. I definitely recommend this read for anyone who likes suspense.